Among the guests will be Director of Amnesty International Ireland Colm O'Gorman, author and broadcaster Manchán Magan, filmmaker Pat Collins, musicians Iarla Ó Lionáird and Daithí O'Drónaí, comic Eleanor Tiernan, St Brigid's Children's Choir (NS Cabinteely) and The Discovery Gospel Choir. The show will be available on catch-up on www.rte.ie/player for 21 days and will also be available on the Washington Post website. 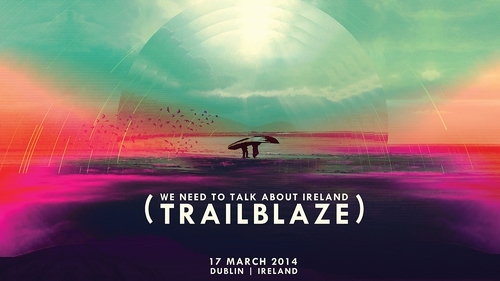 Viewers can contribute to the discussion at: #Irelandtalks #pureirish. For more on RTÉ's St Patrick's Weekend coverage across all platforms, visit: www.rte.ie/pureirish. The Minister for Arts, Heritage and the Gaeltacht, Jimmy Deenihan, said: "I am delighted to support this event. Now is the time of year when we celebrate Irishness, and this event allows for a discussion about what that means in the 21st century. "St Patrick's Day puts Irish culture on the world stage, and focuses global attention on the Irish at home and across the globe. "This event brings cultural voices and performers together in what promises to be a thought-provoking and entertaining evening."